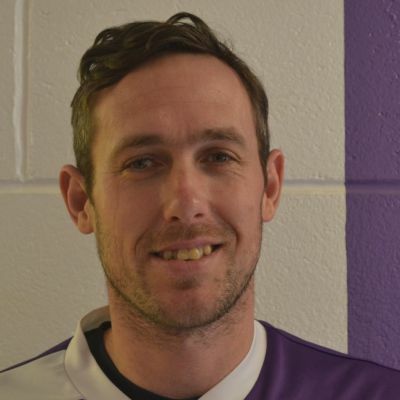 Daventry Town FC are pleased to announce that Arron Parkinson will be Manager of the First Team for the season 2018/2019. Ian King has stepped down as Joint Manager and leaves with the club with our thanks and very best wishes. This will be Parky’s third year at the helm having been Joint Manager alongside Andy Marks when they were crowned UCL Division 1 Champions in 2016/2017 before working along side Ian King in the club’s first season back in the UCL Premier Division. The club are also pleased to confirm that the club will run a Reserves team in the UCL. Parkinson has also announced his new backroom staff. Goalkeeper Matt Finlay will be joining as Assistant Manager with Pete Harris coming in as Coach of both the First Team and the Reserves. Parkinson has appointed Andy Emery in charge of the Reserves. Arron explained his selection. Matt Finlay is someone I have known for a very long time and I am delighted he has agreed to become my assistant. Matt has had a long and very successful football career and is very well known in and around the area. He has won the UCL twice with Woodford United and AFC Rushden & Diamonds, and has also won promotion with Stamford via the play offs at Step 4. As a player he was always very professional in the way he prepared and conducted himself and he was always huge competitor who hated losing. It’s his first role on the management side and I am sure after speaking to him that it is something he is looking forward to and I know he can’t wait to get going . He is a born winner and I’m sure he will be a huge success. Andy Emery will become Reserve Team manager and I am delighted he has agreed to come across to Daventry and take on the role. Andy has previously also been instrumental in the successful Cogenhoe u18s side over the last 7 years. After meeting up with him over the last few weeks I feel he has a huge appetite and hunger to do well and is looking forward to the new challenge. Andy has had a huge amount of young players who have established themselves in and around the area and I am sure he will put together a young competitive squad eager to do well for the coming season. I would lastly just want to welcome all three to Daventry Town and just say how I am looking forward to working with all 3 of them in the new season.